My Customer wanted an automated way to refresh an application database to a known state, to be done by non-technical personnel. 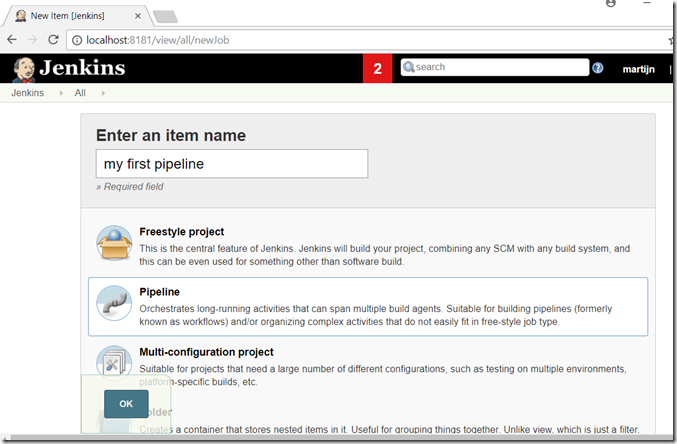 As a DBA I know a lot of scripting, can build some small web interfaces, but why bother when there are ready available tools, like Jenkins. 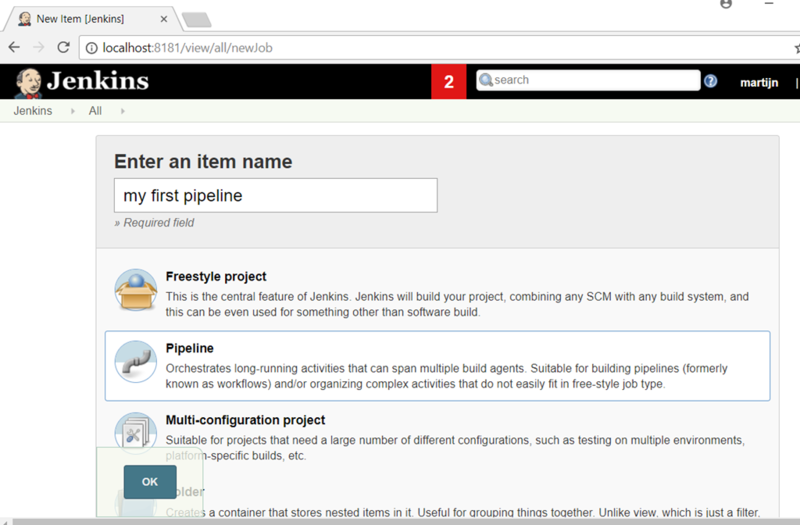 Jenkins is mostly a CI/CD developer thing that for a classical DBA is a bit of magic. I decided to try this tool to script the refreshing of my application. 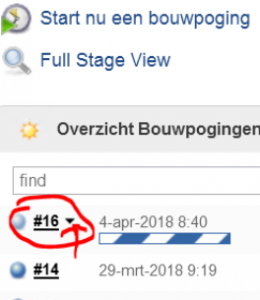 When starting Jenkins for the first time it creates a password that it will show in the standard output. When you open the webinterface for Jenkins for the first time you need this password. After logging in, install the recommended plugins. In this set there should be at least the Pipeline plugin. The next step will create your admin user account. Creating a Pipeline build job. clearing the schemas, importing the schemas and fixing stuff, and finally starting Weblogic again. The Pipeline scripting language is quite extensive, I only used the bare minimum of the possibilities, but at least it gets my job done. The actual code can be entered in the configuration of the job, in the pipeline script field. 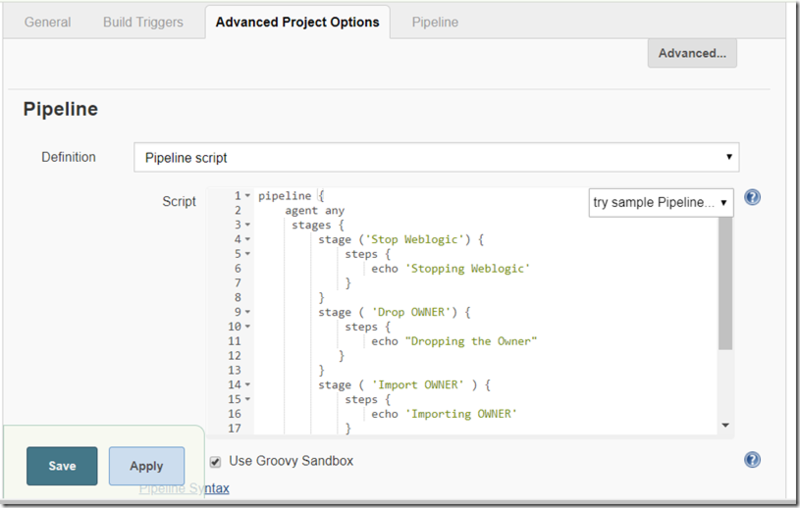 A more advanced option could be to retrieve your Pipeline code (plus additional scripts) from a SCM like Git or Bitbucket. In this script you can see the four global steps, but some steps are more involved. In this situation I decided not to completely drop the schemas associated with the application, the dump file could come from a different environment with different passwords. Additionally I only import here the known schemas, if the supplied dumpfile accidentally contains additional schemas the errors in the log would be enormous due to not creating the useraccounts in the import stage. When the job is saved, you can try a Build, this will run your job, you can monitor the console output to see how your job is going. The observant types among you may have noticed that I used a wallet for authentication with SQL*Plus and impdp. As this tool would be used by people who should not get DBA passwords, using a password on the commandline is not recommended: note that all the command above and their output would be logged in plaintext. So I decided to start making use of a wallet for the account information. Most steps are well documented, but I found that the step of making the wallet autologin capable (not needing to type a wallet password all the time) was documented using the GUI tool, but not the commandline tool. Luckily there are ways of doing that on the command line. also make sure a tnsnames entry is added for your wallet credential name (above: theSID_system) now using sqlplus /@theSID_system should connect you to the database as the configured user. The first stage actually looks at the place where all the dumpfiles are to be found and does a ls on it. This listing is then stored in a variable that will be split into choices. The running job will wait for input, so no harm is done until the choice is made. 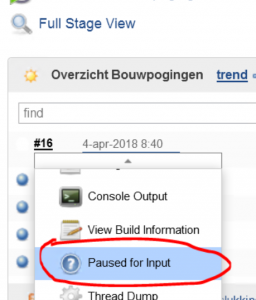 Starting a build like this will pause, you can see that when looking at the latest running build in the build queue. Martijn is an Oracle Consultant at AMIS. His focus is on Oracle databases (RAC and non-RAC) and Weblogic infrastructure. Using Puppet (including the Enterprise modules) and other opensource technologies. In my spare time I like to tinker with Raspberry Pi's, FreeBSD, Sun and SGI hardware and software. Great Post. It is very interesting blog which is helpful for everyone. I appreciate your blog on best blog. Your blog will help us a lot. So, I want to say thanks to you for sharing this essential blog with us. This was my first segway into Jenkins. It took me a long…. long… long time and lots of pain to figure out how you can do this without any apparent authentication. The only way I could get this to work was to set up an ssh key (authorized_keys file) allowing the jenkins user to ssh to oracle in the shell without a password. I’m assuming that’s how you have done this? Otherwise, you are running all this, (logging into sqlplus etc) as user Jenkins. 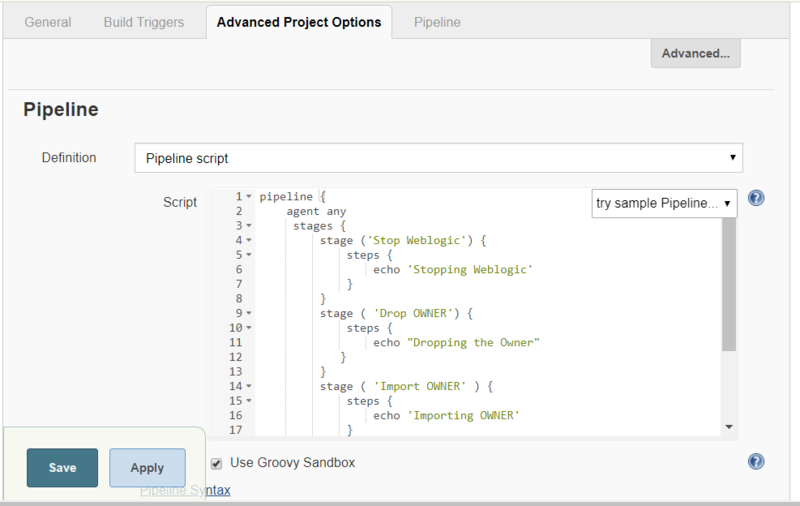 And I used “BlueOcean” with Jenkins to make the pipeline syntax easier to handle. Thanks for your suggestion, will have a look at BlueOcean. I did indeed make use of a ssh key to access the remote database hosts as the user oracle. Martijn is an Oracle Consultant at AMIS. His focus is on Oracle databases (RAC and non-RAC) and Weblogic infrastructure. Using Puppet (including the Enterprise modules) and other opensource technologies. In my spare time I like to tinker with Raspberry Pi's, FreeBSD, Sun and SGI hardware and software.